This instance is not abusable as far as I'm aware... but I want to document it anyway.... in case anything similar could be researched elsewhere. As a PC, you usually start on layer 1. When you use Sand, a function in the Map Code may be called. 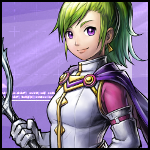 (Listed in map's events list) that could switch you to layer 3.... Sand only works on tiles that are "Sand tiles" on layer 3, so if you leave the Sand tiles, you'll revert to layer 1. In the picture, we are trying to go to the tile that is at ground level, and is not an impassable tile, but once we leave the sand tiles, we immediately go back to layer 1/exit Sand mode... Making it so the tile you would be on now would be an impassable tile. Event id 0xFF.... Which is especially unfortunate since not all collision relies on event id 0xFF... There are lots of places that just use the height table. When you are in the center of an 0xFF tile, you can't really move in any direction... Unless you are close enough to the edge... (In which case you walk where you came from.) So this isn't exactly a game-breaking bug. Sounds like being able to wedge yourself into the wall? We do something like this currently where we wedge ourselves into the wall by forcing sand to end, and then we are in range of the move statue and can cast move on it. Saves doing about half of Ankhol Ruins. 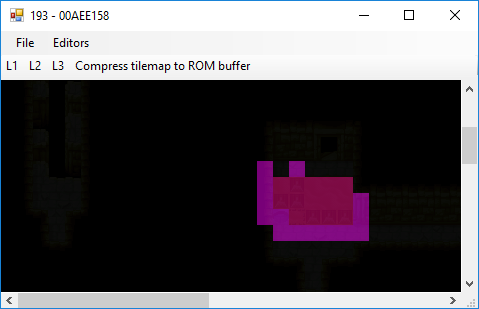 My "discovery" was more or less about tilemap errors... but yours mostly looks like a functionality error... :) Both of which fit this topic. 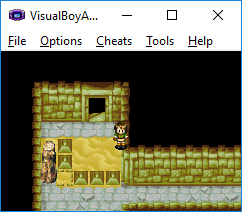 There's another place you can go into the wall b/c of tilemap error/s... but it isn't useful either. I am not sure if objects being moved around from Retreat Glitching can be moved (with psynergy) where they need to be to get around in any case.... but I doubt it'd be useful anyway.